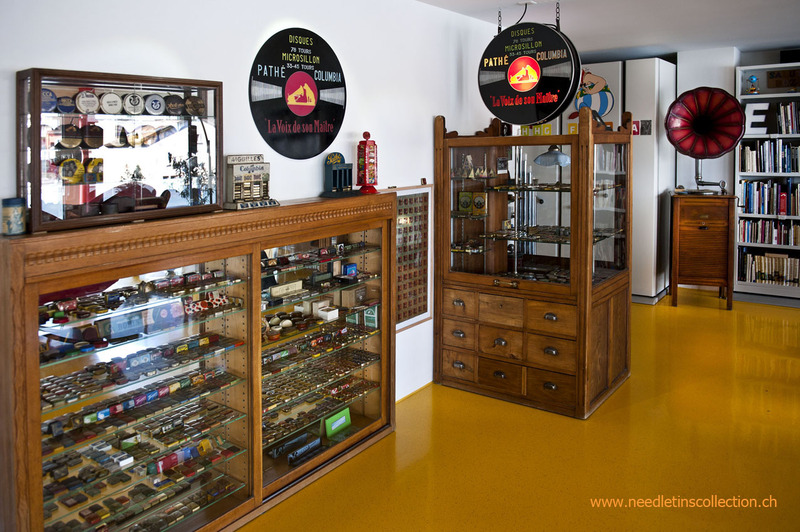 Gramophone needles tins are often an add to a main collection of gramophones or 78rpm records. As for me though, this is the main topic of my collection. Therefore, spending so much time on flea markets or in second hand shops, I discover from time to time items close to tins and I cannot help to buy them to pretty my collection up. This how it happened that some signboards, posters, cleaning pads, tins dispensers or other gimmicks joined the collection, not to forget, of course, one huge gramophone !